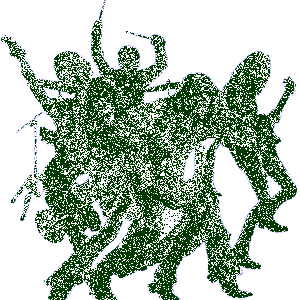 The Starting Line Biography, Discography, Music News on 100 XR - The Net's #1 Rock Station!!! 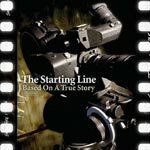 Punk-Pop quartet Churchvill, Pennsylvania USA-based, The Starting Line, was formed in 1999 by singer+bassist Ken Vasoli, guitarist Matt Watts, second guitarist Mike Golla and drummer Tim Cryskiewicz. The guys recorded a demo-disc winning a deal with Drive-Thru Records who released in mid-2001 the 5-track EP "With Hopes Of Starting Over". 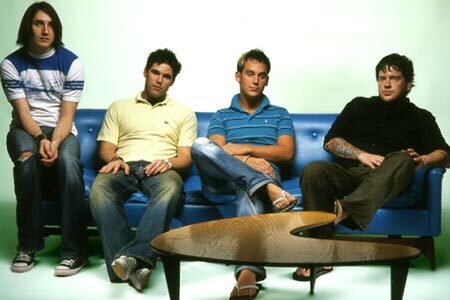 The group's debut full-length album, "Say It Like You Mean It", was issued one year later and reached the #109 spot on The Billboard 200 list, while the single "The Best Of Me" achieved airplay on Modern Rock radio in late July of 2003. Before the year was out, the band, released another EP entitled "The Make Yourself At Home". 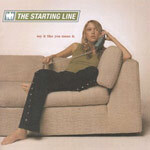 The Starting Line's second album, "Based On A True Story", appeared in mid-2005 peaking at #18 on The Billboard Top 200 chart.